Noah and I wrote an article about penalty patterns in the NHL. It’s over on FiveThirtyEight – many thanks to the folks over there for efforts in helping us put it together. I wanted to share two plots that I thought were interesting, and related to our study. 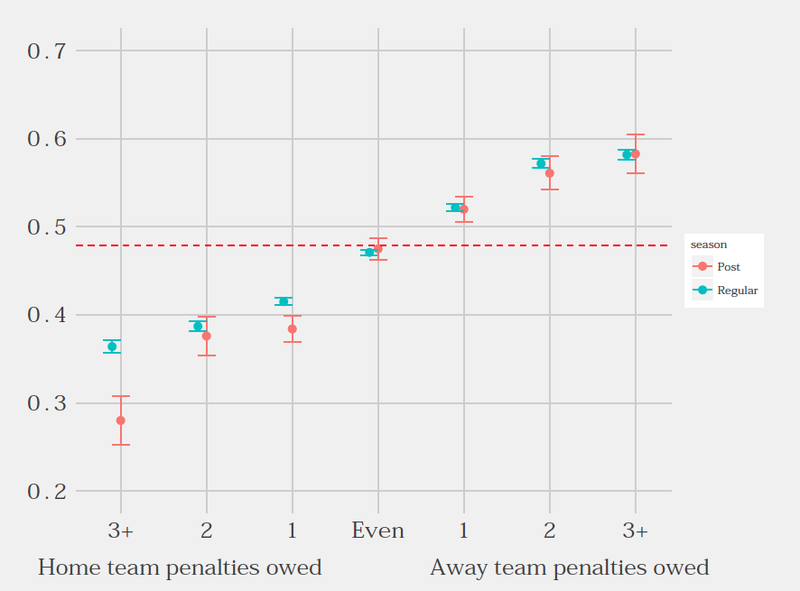 First, here’s a contrast of penalty violations, comparing the probability of a home team penalty by game type (regular, postseason). Home teams are unlikely to get penalties when they are owed penalties. They are even less likely to get those penalties in postseason play. Also, Sam and Micah suggested that it would be worth looking at the type of penalty called given each scenario. 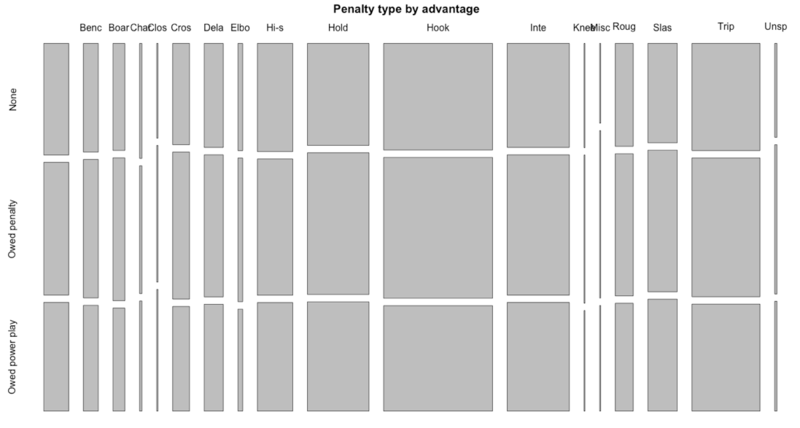 While some of the penalties are of unknown types (strange data entry), here’s a mosaic plot of the types that are known, using the first four letters in the columns as the penalty type, along with the penalty differential.